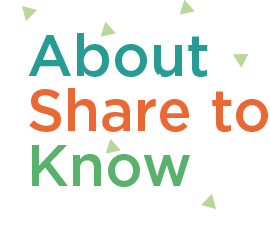 Share to Know is a European network for people and organisations interested in advancing peer to peer learning for young people. From March 2015 – January 2017, partner organisations will exchange and test a range of methodologies and approaches towards non-formal learning experiences. We believe that these approaches are particularly valuable for young people who haven’t had a positive experience of education, or who struggle to access training or employment opportunities. We aim to explore how peer to peer learning can address employment related topics and skills, and to share our own learning and resources with other practitioners. The Share to Know partnership have produced a summary guide and full project report from the exchange process. Please feel free to download and share. the EU Erasmus + programme. The project is part of the Eramus + ‘strategic partnership for youth’ field, which supports the development and testing of innovative approaches to youth work. It is being led by 3 partner organisations in London, Stockholm and Berlin. Despite some EU labour markets showing falling youth-unemployment, many young people are struggling to take advantage of new opportunities. The Share to Know Partnership aims to improve access to learning for young people furthest from the labour market by advancing non-formal education, specifically peer-to-peer learning. Street College is a project at Gangway, an organisation that has been doing mobile youth work in Berlin for the last 20 years.